New costume collaborations also announced. 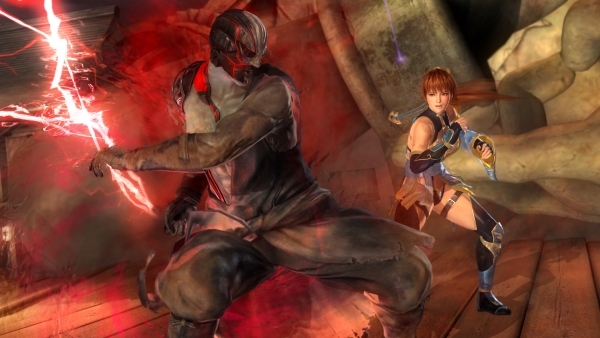 Koei Tecmo detailed upcoming updates, as well as costume downloadable content collaborations, for Dead or Alive 5: Last Round at Dead or Alive Festival. First, on August 11, update version 1.04 will add the new stage “Fireworks,” the “Lovely Summer Costume 2015” costume pack, as well as game balance adjustments. Then, in spring 2016, a “major update” will add both a new stage and a new character. More information will be announced in a followup report. In September, Dead or Alive 5: Last Round will receive costume downloadable content based on Falcom games like The Legend of Heroes: Sen no Kiseki and Trails in the Sky. (While not a collaboration…) In October, the “Everyone’s Halloween Costume” costume DLC will be released. In November, the game will receive costume DLC based on Square Enix’s Schoolgirl Strikers smartphone title. In spring 2016, the game will receive costume DLC based on Tatsunoko Production characters.